UAE's Armed Forces have joined the search for the Malaysia Airlines jetliner that went missing on March 8. A source told state news agency WAM, the UAE has sent two search and rescue aircaft to join the extensive search effort, stretching from the Indian ocean to Australia as well as south and central Asia. No other details were given. The UAE is among 26 countries who are participating in the search operation. Malaysia Airlines Flight MH370 carrying 239 people aboard disappeared without a trace on March 8. Australia's maritime safety agency said on Tuesday it had sharply reduced its search for the missing Malaysia Airlines jetliner to a 600,000 sq km (230,000 sq mile) corridor in the southern Indian Ocean, but that is still roughly the size of Spain and Portugal combined.Strong currents and high seas are making the task more daunting, it said.In the northern hemisphere, a separate search area is along an arc stretching from Malaysia through northern Thailand, Myanmar and China to Kazakhstan. 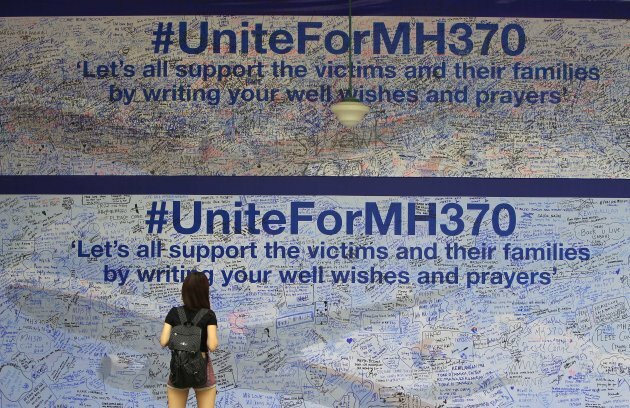 Twenty-six countries are involved in the massive international search for the Malaysia Airlines jetliner that disappeared on March 8 with 239 people aboard. They include not just military assets on land, at sea and in the air, but also investigators and the specific support and assistance requested by Malaysia, such as radar and satellite information. Malaysia, which is coordinating the search, has deployed about 18 aircraft and 27 ships, including the submarine support vessel MV Mega Bakti, which can detect objects at a depth of up to 1,000 meters (3,280 feet). Australia has sent two AP-3C Orion aircraft, one of which is searching north and west of the Cocos Islands in the southern Indian Ocean, and plans to deploy two more by midday Tuesday. Australia's defense department is refusing to say whether Malaysia has asked Australia to divulge any radar information, but Prime Minister Tony Abbott said all Australian agencies are "are scouring their data to see if there's anything they can add to the understanding of this mystery." The Chinese Civil Aviation Authority says the plane did not enter Chinese airspace. China has deployed nine navy ships and civilian patrol vessels and a variety of fixed-wing and rotary aircraft, along with a team of experts dispatched to Malaysia. A P-8A Poseidon, the most advanced long-range anti-submarine and anti-surface warfare aircraft in the world, has been searching in the Indian Ocean. The U.S. Navy also has deployed the destroyer USS Kidd with two MH-60R helicopters. The Transportation Ministry said no unauthorized flights have been detected. The Central Asian nation is the farthest northwest the plane could have flown, given satellite data on its past locations and its fuel limits. Indonesian air force spokesman Hadi Tjahjanto says military radars on Sumatra island found no trace of the jetliner and that data requested by the Malaysian government had been handed over. He says that search efforts have shifted from the Malacca Strait to the corridor stretching from northern Sumatra to the Indian Ocean. The director general of the Pakistan Civil Aviation Authority, Muhammed Yousaf, says radar recordings shared with Malaysia found no sign of the jetliner. India halted its search operations in the Andaman Sea and the Bay of Bengal and continues to coordinate with Malaysia about possible new search areas. Royal Thai Air Force spokesman Montol Suchookorn says the Thai military gave its radar data to Malaysia on March 10 and has not received any additional requests. The Royal Thai Navy suspended its search mission in the Gulf of Thailand and South China Sea on Saturday. Other nations involved are Bangladesh, Brunei, France, Japan, Kyrgyzstan, Laos, Myanmar, New Zealand, Philippines, Russia, Singapore, South Korea, Turkmenistan, United Arab Emirates, U.K., Uzbekistan, and Vietnam. More updates on the missing MH370 plane to come.